Strawberries are wonderful things. The berries, flowers, and squat plants are all very sweet to look at. Anyone who has tried a homegrown strawberry knows that store-bought strawberries just can’t stand up to the ones from a garden. While a strawberry plant may be a bit of a fuss for a college student living on campus to maintain, it can be done, and anyone with a plot of land to call their own can have homegrown strawberries with relative ease. Strawberries can be grown in containers (for those who don’t have a lot of space to spare) and in the ground. Both methods, if done correctly, will yield a nice harvest of berries in the summer. 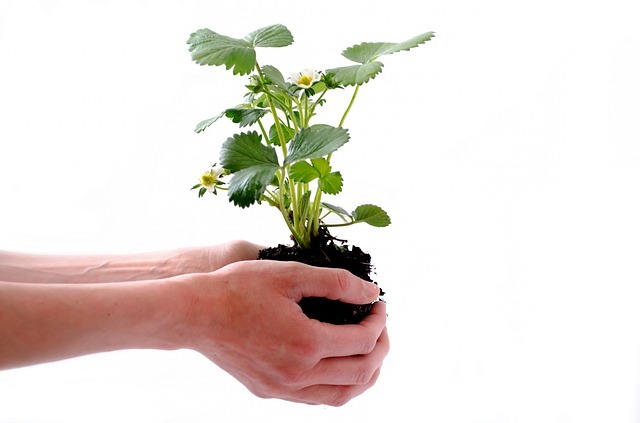 If you cannot care for a strawberry plant until harvest, don’t abandon the idea of still starting some seeds. 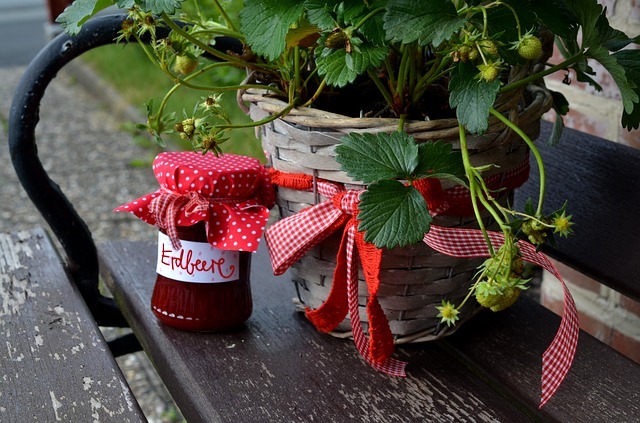 A strawberry plant that has been grown from seed, with perky leaves and flower buds, makes a wonderful gift for parents, relatives, or anyone else who matters in your life. The biggest challenge with starting strawberries from seed has to be actually coming across the seeds themselves. While most small stores (in Oxford, ACE hardware and Whistle Stop) do not carry seeds yet, big name places like the Dollar Tree, Lowes, and Wal Mart are already showcasing their seed inventory. None of the stores have strawberry seeds, meaning your best bet for finding the seeds you want is to order a packet online. Ordering grown plants online can have mixed results, especially when the weather is temperamental. Not to mention, a packet of seeds will have a larger amount of potential plants (that you can grow this year and the next) than buying a full-grown plant. 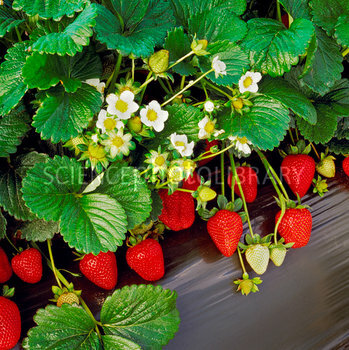 The ready-to-go nature of the already grown strawberry plant, and the wide variety offered, may be preferable to some, but be prepared to nurse the plant back to health for a few days. Strawberries are not annuals, and will overwinter and spread across their container or garden bed. As the years go by, the same plant will slowly spread to fit wherever it’s been placed. This makes strawberries serve a dual purpose as groundcover—the one drawback is that this tasty groundcover will make any nearby raccoons very happy. If you keep strawberries outdoors, it’s good to cover them in bird netting or something similar to prevent greedy raccoons and curious birds from eating all of your harvest. Thankfully, bird netting is hard to see until you’re up close to it, so the plants will still look lovely, green red and white, to anyone who casts a glance their way. It’s a trade-off between a lot of groundcover and a lot of berries with strawberries—generally, leaving three or so vines per plant, while clipping the rest, will leave the plants with enough energy to make a good harvest while at the same time spreading out a bit. Because of their spreading character, strawberries can be planted around 18 inches apart so that they don’t get overcrowded. For containers, this means having one strawberry plant per vessel. If you buy seeds, start them eight weeks before the last frost—in Oxford, the chance of a frost is high in early April, and all but gone in early May, so planting indoors can be done sometime during early March for a May transplant or gift—just in time for the end of the Spring semester. Seeds started indoors should be planted in little soil planters, in soil similar to what they will grow in outdoors: light and fertile. The soil should never be bone dry, so water when the soil is just barely moldable in your fingers. Be absolutely certain that the planters for the strawberries have holes in the bottom – it would be very sad to lose young plants to root rot! When planting established strawberries, be certain to keep the center of the plant, from which all of the leaves come, above the ground. Otherwise this center could rot, and the plant will die. Strawberries like to have a lot of sun, around 8 hours a day. They also like slightly acidic soil that isn’t heavy. Unfortunately, most of the soil in Oxford is naturally high in clay, so buying a bag of potting mix and mixing it with a bit of compost would be your best bet. To acidify the soil, strawberries can sometimes be watered with room-temperature, or unsweetened, black coffee— in fact, the leftovers from a morning cup, grounds included, make a good weekly treat for most plants. 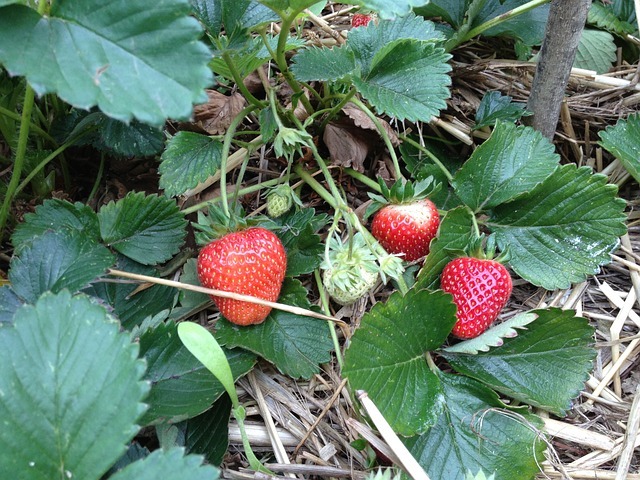 Strawberries tend to produce bigger berries when well watered. Because strawberries lay so low in the ground, it’s wise to cover the ground all surrounding the strawberries with hay, wood shavings, or something else that isn’t mucky and dirty. This will keep the berries from rotting and being gross when they are ripe. Different types of strawberries will yield fruit at different parts of summer, so pick the type of fruit that will fit with your schedule.